You are right: this version is no more available. Just run Flash Plugin Installer. I tried and have installed Opera Portable for 32bit, bit when I go to run Opera after installing it I get the following error message. Failed to load Opera.DLL because a device attached to the system is not functioning. Is there anyway round this? Problem in your system I can't solve. Can you check if your launcher works correctly with the newest version of Opera Next? Opera Next now uses Chromium's engine, so there might be some registry additions. Also, if you could do a portable version for the recently-seperated Opera Mail as well, that would be great. I tested Opera Next (15) and I will not spend time on it if they don't change (read comments in your link). Can't be correctly portabilized: missing switch to set profile directory and custom settings to set Plugin Path. Better to use directly Chrome. Hi, I was using some versions of your portable Opera NEXT, but, with last two builds, in my PC, the Avast virus tool do not let me download installer, give me a RED window and says there is problems with the file. Any sugestion ? so I can use again new Opera Next bulds. Thnanks for your work and time porting this software. The 4 Online Installers in one 7z archive (1.6 MB). If you run directly main exe it will not be portable. is there a way to prevent a portable app from reading the registry ? or make it read an isoalted registry or something. This is possible with a custom launcher witch backup-restore the registry key so Opera see an empty key. Is it possible to make the designer on the basis of the existing installation files Opera 12.16 for x86 and x64? (par exemple dans la barre du bas de Total Commander depuis le répertoire X:\PortableApps\OperaPortable\ en adaptant X). Plus d'outils/Importer les signets ne sera plus en gris. please you can help me dear Bernat? Opera 12.17 has appeared on the ftp site unannounced but I can't get the installer to find it. Can the installer be fixed to work with this latest release please? Whoops...I was entering 12.17 so no wonder it wasn't working...sorry and thanks for the quick response. I like opera portable apps so much. But I'm having a small problem in using any of these versions. When I exit OperaPortable, it deletes the registry entry of the flash plugin for Mozilla Firefox. So firefox is always asking to install the flash player. Use FirefoxPortable or don't use Firefox installed when OperaChromePortable is running. how to run once a private box at startup Opera? Online installer is not setup extractor and don't need to be. This can be done but I have no time to spend to modify script for useless option. Source in Other, and you can modify as you want. Bernat, the link for Opera 1218 is dead. Would you update it please? Thank you, take care. Charles. Hi Bernat and thanks; I'd like to install flash plugin in opera but the installer doesn't have the path (eg App/OperaChrome). Could you suggest me the path to install flash. Thankyou very much. Flash plugins are used by several browsers. The best is to create a PortableApps folder at the root of your drive and don't change default paths of installers. you have to choose MyPath folder with Browse button of Flash installer and CommonFiles\Plugins path will be created. "It has been announced on Chrome Blog that Windows XP and Vista support is ending including security fixes. We do care for our loyal users, which you could recently observe with 12.18 security update. While Opera 36 will be last one with features additions on Windows XP and Vista, we are still going to provide security and crash fixes to XP and Vista platform. You will no not be able to run Opera 37+ on Windows XP and Vista, we advise you update to more recent OS, if possible. 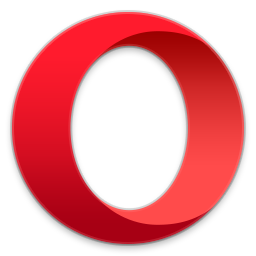 Otherwise, we will have Opera 36 for you"
36.0.2130.75 added and tested working on XP SP3. buenas, el link de Mediafire para descargar la verson 39.0.2256.71 de opera esta caido, podrias subirlo de vuelta? Any updates for Opera 12.02? Yeah, but I'm stuck with 12.02 as 12.18 don't work on my OS. How to change the CACHE and CACHE 4 routes to another disk that is not SSD? I don't know what is Sync.